DAVID LE/Staff photo. 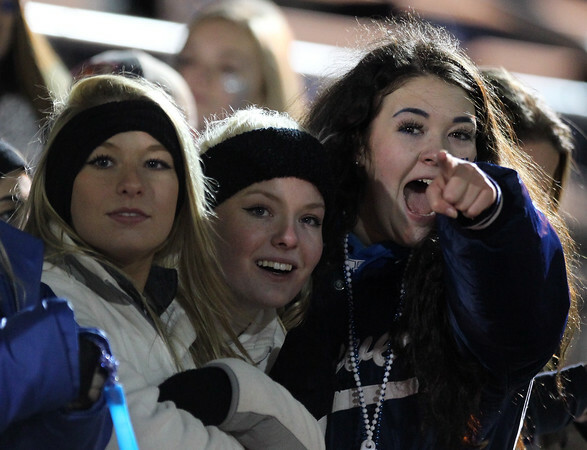 Danvers seniors Hannah Dowling, Rachel McManus, and Janelle Couto cheer on the Falcons against Melrose in the D3 State Semifinal. 11/20/15.